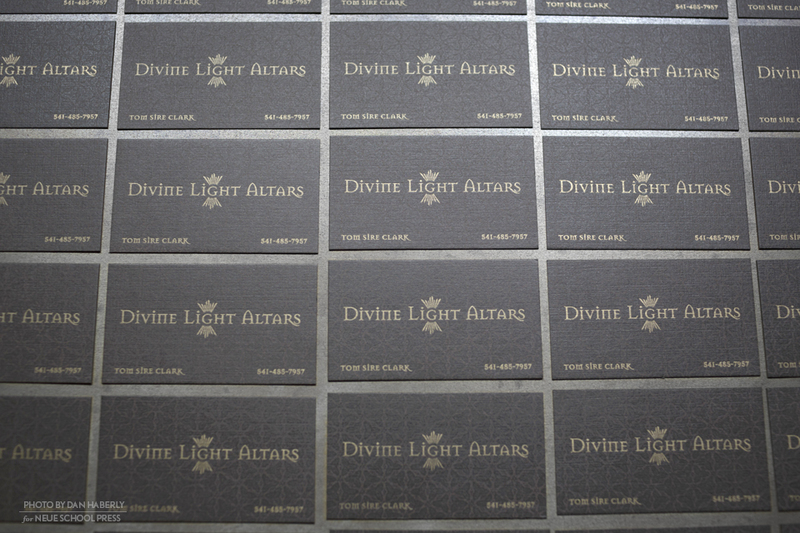 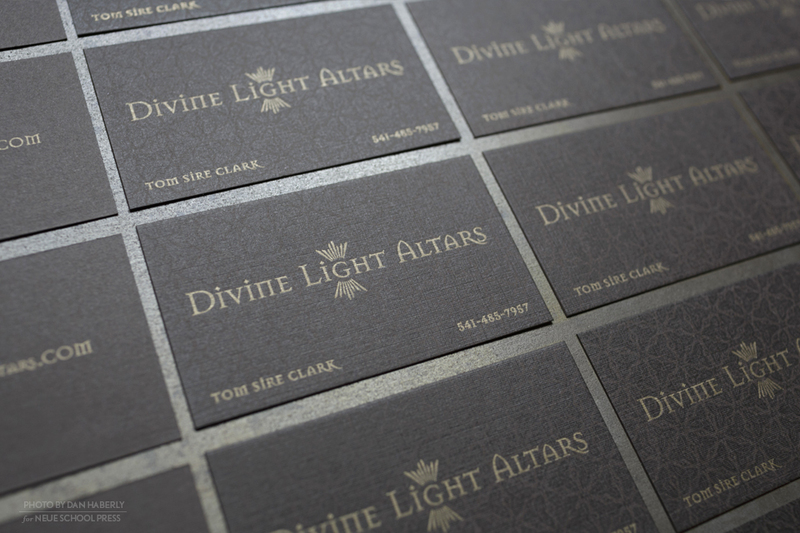 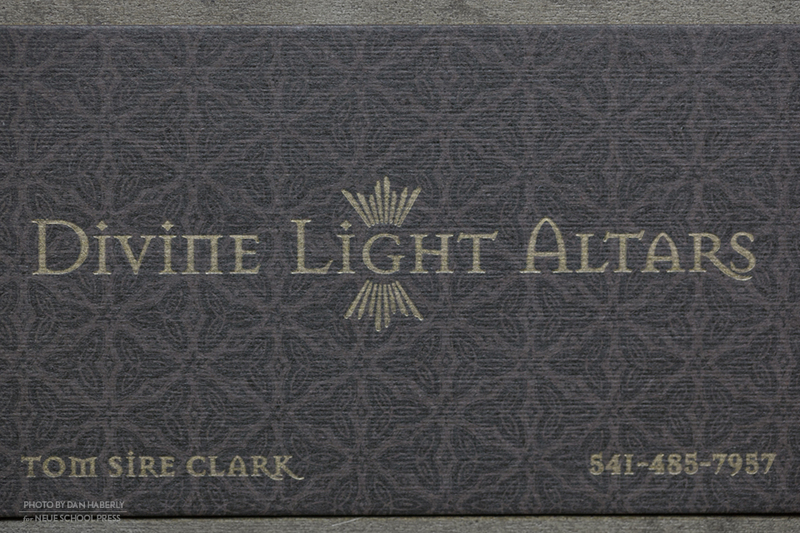 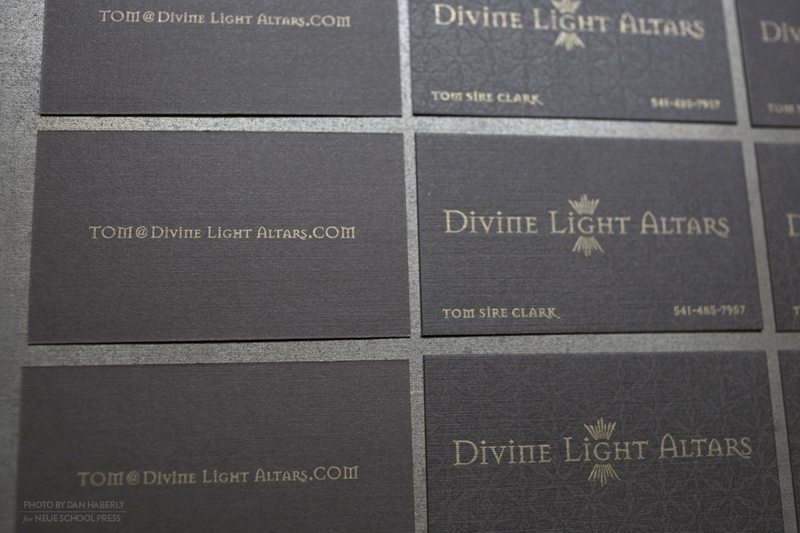 Divine Light Altars gets a scriptural treatment for their business card with gilded edges and gold ink. 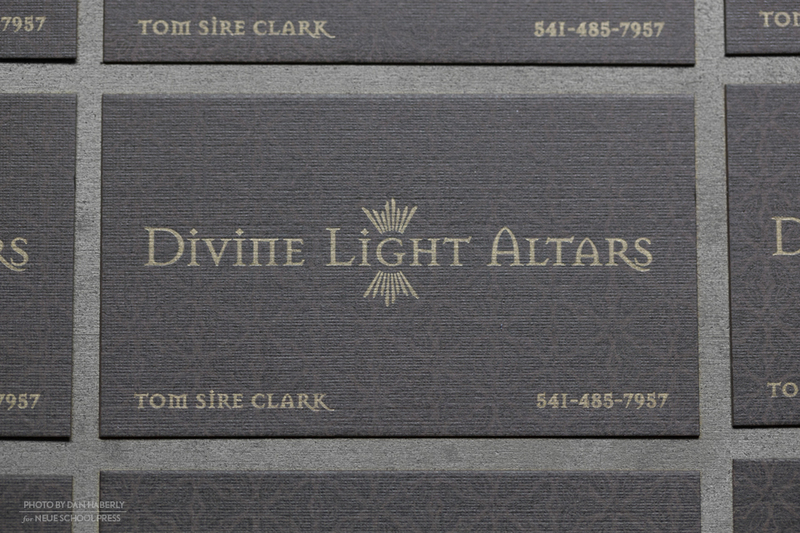 A rich chocolate brown linen stock gives a nod to artisanal craft. 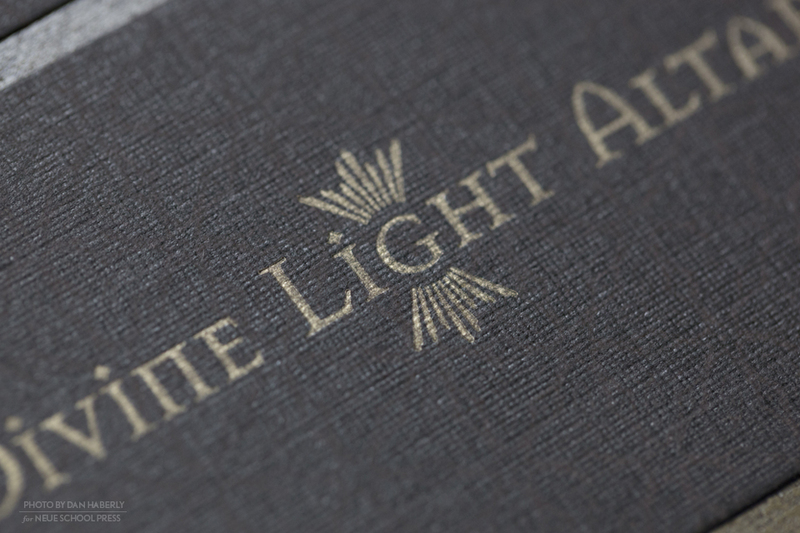 The use of Barnbrook’s Mason typeface within the logomark relates an ecclesiastical feeling. 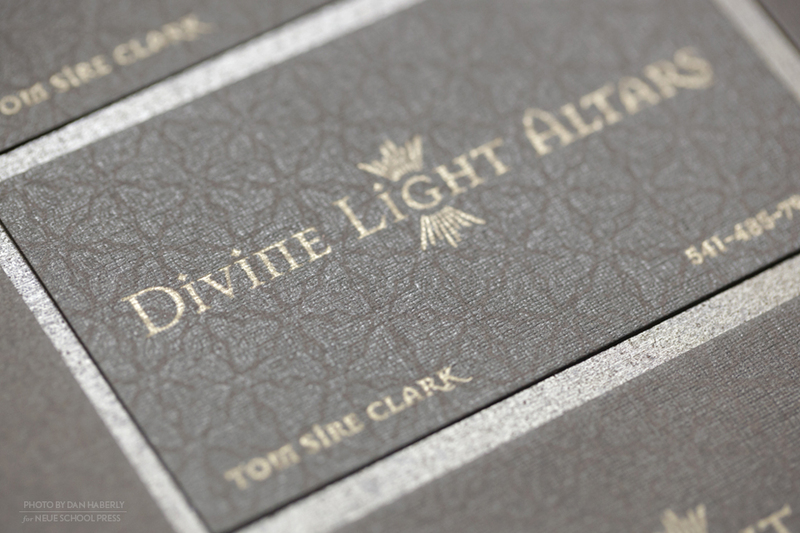 A pattern reminiscent of stained glass is printed in a full bleed varnish, on the background of the card. 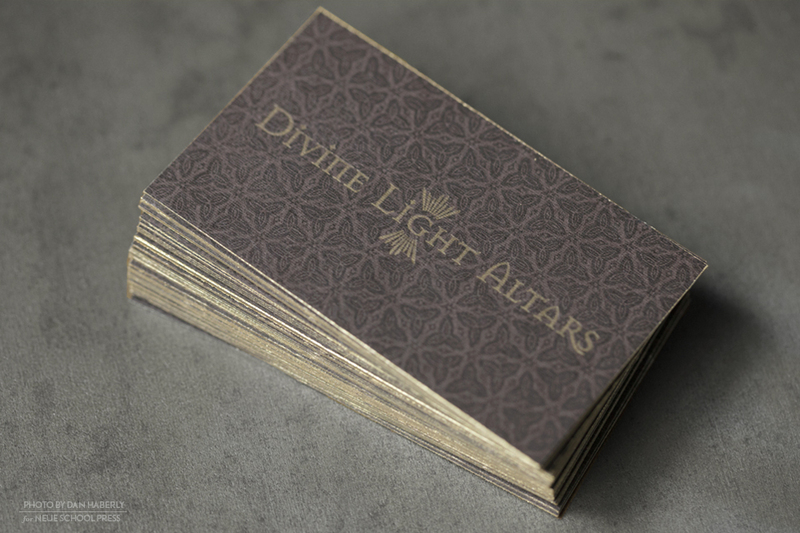 The card was printed two-sided with name and number on the front and email on the back.